Everyone talks about nutrition when it comes to guaranteeing a happy feline, but lesser known is the important role oral health plays in keeping your cat grinning. February is Pet Dental Health Month so we’re sharing four tips that get to the teeth of the matter! A jaw dropping 70% of cats over twenty months old have some type of dental disease. There are many ways to spot if your cat may be one of them. 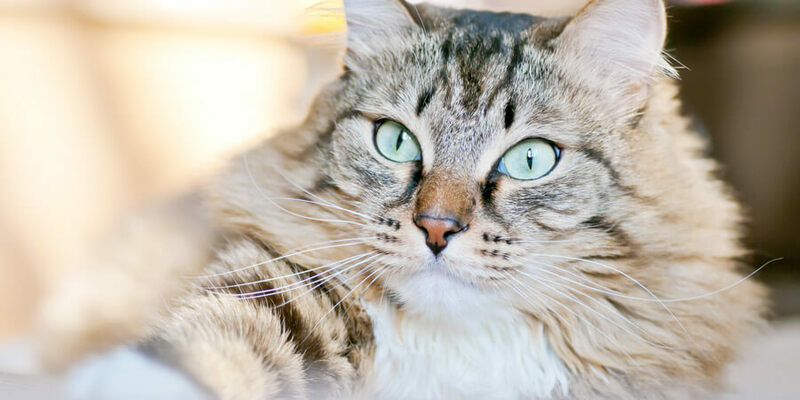 If your furry friend is having problems eating (dropping food from their mouth or not finishing meals they used to complete), this could be a sign your cat has a sensitive spot in their mouth. Felines may also paw at a sore spot. Luckily, something as easy as a chew toy can make a big difference. The more your cat gets to chomp down on a firm object, the stronger their teeth will be. There are also many toys on the market that specialize in aiding common oral problems for cats! There are many other ways to assure your cat’s mouth makes the cut, and a good place to start is with their breath. 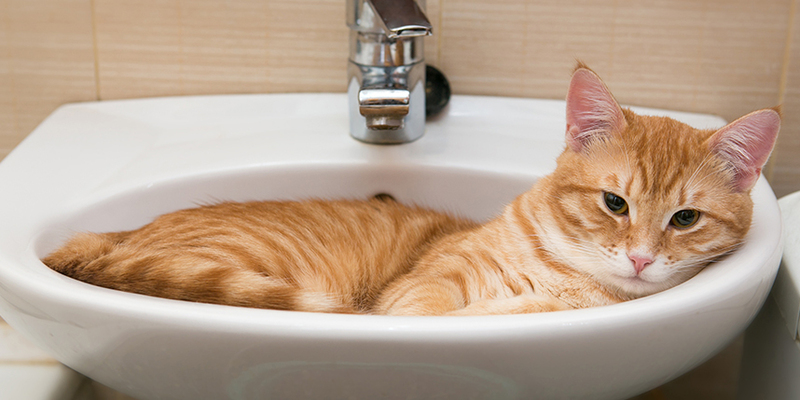 Your feline doesn’t need a minty-fresh scent to be healthy, but it also shouldn’t be curiously offensive. A strong, bad smell emitting from your kitty’s mouth usually means there’s something that needs to be checked by your veterinarian. You can also tell a lot about your pet’s oral health by simply pressing their lips back. Your cat’s gums should be pink and firm. There should be little to no white or red spots, nor should there be any swelling. Use this moment to also make sure your cat has no tartar (it’ll appear as brown spots) on their teeth. Don’t be afraid to get on your cat’s level to see what’s going on in their mouth––the most urgent problems usually require a keener examination. Be on the lookout for any dark red lines or pus on their gums, particularly near teeth. You can also use this opportunity to see if any teeth appear to be loose, or if there’s any unnatural redness or swelling near the tongue. Dangerous swelling of any kind should be brought to your veterinarian’s attention, as it could result in tooth loss, lack of eating, or be a symptom of a larger problem like kidney problems or Feline Immunodeficiency Virus. While getting your cat used to having their teeth brushed may take a few tries (and some patience), your effort will be rewarded in a healthy smile! Start by getting your cat used to the brushing feeling by using something soft – like a cotton swab or your index finger – to replicate the movement against their teeth. When they’re used to the motion, dabbing a bit of the specialized cat toothpaste on the soft object will introduce them to the flavor. Next, take a specialized feline toothbrush (they’re usually smaller and some fit over your finger) and gently rub it against your cat’s mouth until they’re comfortable. The last step is to combine the paste and brush, and begin softly cleaning their mouth. If you need some guidance, here is a great video with lots of tips on how to make it a pleasant experience for you and your cat! Cats may not have the same reputation other pets have when it comes to oral problems (dogs, anyone), but their dental hygiene is just as important as any other member of your family. Keeping on top of your cat’s oral health will make their life happy and yours more hassle free. 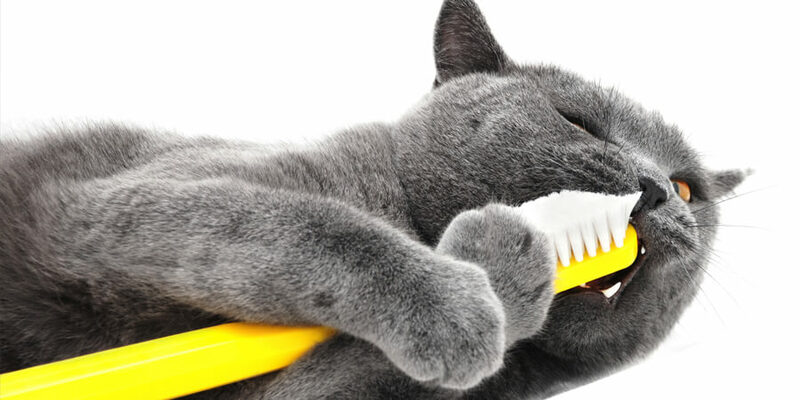 Let us know how you maintain your cat(s) oral health!